We dream big and don't settle for the status quo. We’re always curious and hungry to do more. We never rest upon today's successes; we honor our past to inform our innovative future. As an Equinox personal trainer your career becomes an empowered lifestyle founded on maximizing both your personal and client performance. Under the guidance of two dedicated managers you will develop and refine an approach to programming, education, business and financial planning that ensures your Personal Training career is as unlimited as your passion. Secure a stronger future and help us redefine the science of fitness and the art of living. Equinox is proudly recognized as the industry leader in Personal Training expertise, with the first in-house education of its kind through the Equinox Fitness Training Institute. For over twenty years EFTI has elevated our trainers to design comprehensive client fitness programs that are safe, effective and results driven. We are dedicated to the professional performance of our team, and compensate our trainers for their education time. The EFTI Personal Training courses are structured around a hybrid of technology and hands-on experience to refine the practical application of expertise. Curricula includes progressive education through anatomy, kinesiology, exercise physiology, post-rehab protocols and more, including our proprietary Three Cycle System – a program design approach that emphasizes the need to create progression that continues to achieve cumulative results over time. Your first objective will be to establish a solid multi-disciplined foundation to personal training through 70 hours of EFTI curriculum. This will include topics like anatomy, kinesiology, physiology, program design, basics of nutrition and regeneration, as well as business support focusing on assessment protocol, relationship building, and professionalism. With foundational coursework and real-world application under your belt, you will evolve into a confident problem-solver. You are now set to progress your abilities through 33 hours of advanced coursework in topics like biomechanics, advanced cardiovascular training, and musculoskeletal pathologies; ensuring your readiness for a wide variety of clients. After over 100 hours of education and practical application you have taken your place among the club’s seasoned trainers with a wealth of experience working with a more specialized population. You are now primed to continue your professional development by engaging in the diverse offering of internal continuing education workshops delivered by industry leading professionals. Achieving the Precision Nutrition certification is the foundation of your coaching practice. You are now able to maximize results through the integration of nutrition and health coaching strategies into client movement programming. You have fully transformed from Trainer to Coach after 150 hours of lifestyle management and coaching skills curriculum. After reaching the pinnacle of the world’s most advanced health & wellness coaching, you are now a true ambassador for the “MNR” lifestyle to clients, Members, and colleagues. It is our goal to encourage the highest level of education to drive quality programming that leads to client results. Backed by a solid foundation and the latest in health education, our trainers can help individuals implement the right behaviors to achieve their health and fitness goals. Through progressive and continuous effort our Personal Trainer’s knowledge base will expand through in-club functional workshops, marquee seminars & symposiums, as well as deep industry relationships with university, equipment, and scientific partners worldwide. The combined expertise of more than twenty of today’s most progressive thinkers will reframe a broader scope of influences on our health and performance. A summit of the brightest minds advancing the fields of Movement, Nutrition and Regeneration as fundamental contributors to high-performance living. This unprecedented meeting of expertise will present interdependent breakthroughs that are leading the health and fitness industry into the future. Attend in person or stream it live through our online portal. Compelling knowledge from a comprehensive assembly of experts will elevate your approach to personal health, physical performance and ongoing vitality. The PT Department believes in a “promote from within” philosophy. Most of the senior PT Department leadership, both at the national and regional levels, started as personal trainers with Equinox. A trainer who shows the ability to excel in our culture, while also demonstrating key managerial and leadership attributes and behaviors, will have escalating opportunity for growth both at the club and regional levels. From opening a new club as a Personal Training Manager in Dallas to taking on the role of Regional Director of Personal Training for the Central Division, Travis has made massive gains since joining Equinox. He was there at the beginning of Tier X in Texas, helping grow the Movement, Nutrition, and Regeneration strategy that is the apex of personal training. That drive to be the best was a big part of why he joined Equinox, and why he and his team continues to excel. Because for Travis, it’s always about what’s next – as well as being excellent at everything in the gym and beyond. And you can’t be the best unless you are part of the best. My career started with Equinox in January 2014 as the floor host at the old Century City location. As the floor host my job was to service the members and make sure the club looked picture perfect at all times. While I was a floor host I enrolled in Equinox academy to become a personal trainer. I passed the academy and then got certified shortly after. I was hired as a tier 1 trainer at Westwood Equinox. 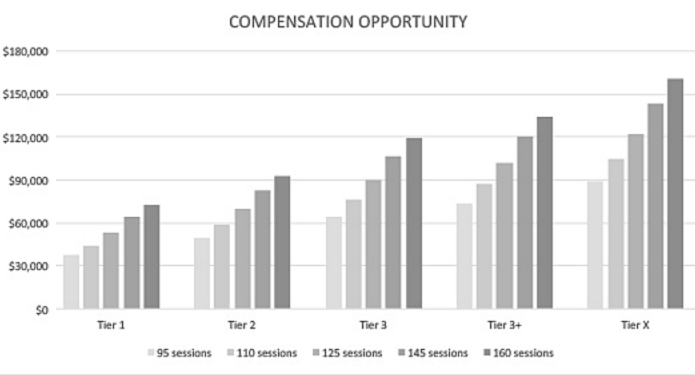 In my third month I was full time and did 104 sessions. In my sixth month at Westwood I was promoted to tier 3. I never went under 100 sessions in the month until I found myself becoming the Fitness Manager in June of 2016 at Westwood. Shortly after Westwood I headed over to Encino Equinox where I help turned the club around. I had the opportunity over a year ago to go back to where it all began in the new Century City where I am today as the Fitness Manager. I am looking forward to what the future holds with this amazing company! Jackie originally went to school at Southern Connecticut State University for Science Education, however being a track and field athlete her whole life she wanted a career with a more hands on and athletic approach to teaching others about the body. She changed her minor from Education to Exercise Science in her final year and graduated with a degree in General Biology as well as her ACSM Personal Training Certification. With friends working for Equinox in both Boston and NYC, Jackie was able to shadow at the Dartmouth Street location and immediately fell in love with the company. 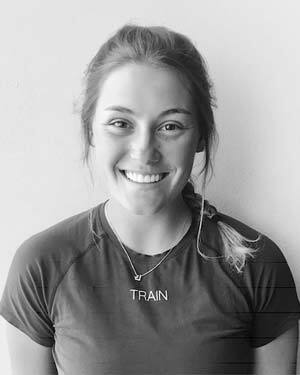 Right after college Jackie started as a Tier 1 trainer at the Darien CT location. She worked her way up to a Tier 3+ trainer over the next year and also became a group fitness instructor. After three years Jackie was inspired by the management opportunities at Equinox and stepped into the role of Fitness Manager at her home Darien location. 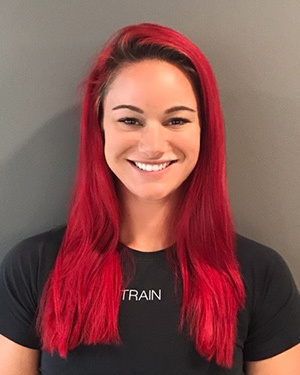 After spending two years in that role Jackie has most recently moved up the highway to the new Southport CT location and opened that club as their Fitness Manager in June of 2018. On her own time Jackie has shifted away from her track and field past to become a competitive powerlifter. She also loves being an instructor and team captain for Cycle for Survival, Equinox's largest philanthropic partnership. Originally from the small farm town of Warren, CT Jackie currently lives in Stamford, CT.
Katrina attended Southern Connecticut State University on a full soccer scholarship and she graduated with a Bachelor’s Degree in Exercise Science and Human Performance. Over the years, Katrina had to rehab a few sports injuries of her own which sparked her interest in physical therapy and helping others. She did her internship at ProMotion Physical Therapy in Monroe, NY and she was hired there upon the completion of her internship where she spent 1 year. With a desire to work with more of a diverse population of clients, Katrina moved on to Personal Training at the New York Sports Club for 1 year and then took on a Personal Training Manager position at a private health club, All Sport Health and Fitness, in Fishkill NY for 3 years. Katrina decided to apply for an Equinox management position in January of 2015 to further her education and to have more opportunities with her career in health and fitness. Katrina was hired by Equinox in February of 2015 as a Manager in Training at Equinox Mamaroneck. She was then promoted to Fitness Manager at Equinox Scarsdale in May of 2015 and then became the Personal Training Manager at Equinox Scarsdale in February of 2017. A little over a year later, Katrina was transferred to help open the new Equinox Southport, CT location in April 2018 as the Personal Training Manager. On her free time, Katrina is usually doing something sports and fitness related such as training for and participating in Spartan/endurance races, watching her daughter play sports, coaching soccer, and watching her significant other do Triathlons/Ironman’s. Matt attended Dominican College of Blauvelt on a Baseball scholarship and graduated with a degree in Finance and International Management. 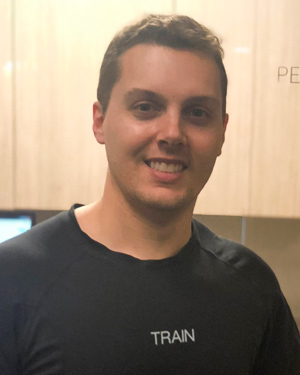 After a shoulder surgery cut his career short, he quickly realized finance was not going to fill the void left by the loss of competitive athletics, so on a whim he took a job as a personal trainer and instantly found his calling. 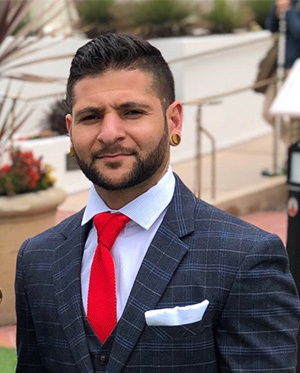 Almost immediately after taking the job, he sought opportunities to further develop his education, enrolling in Westchester Community College to take the science courses missing from his Finance curriculum and obtaining his CSCS in 2007. Since then Matt has compiled a number of specialty certifications and graduated from the Finger Lakes School of Massage as a Nationally Certified Massage Therapist, focusing on injury prevention, rehabilitation and sports performance. 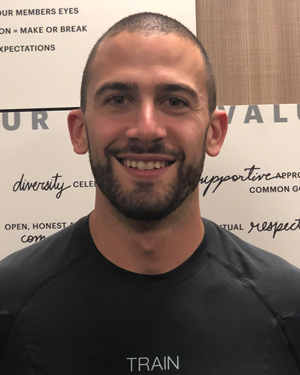 Matt found his way to Equinox after the acquisition of the Armonk location five years ago and was immediately drawn to the MNR philosophy and the company's commitment to education. 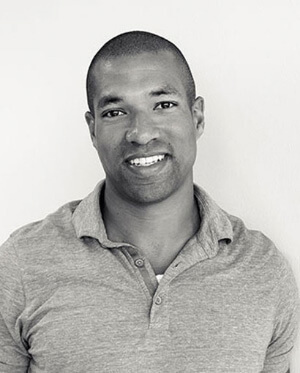 After spending two years in the suburbs he transitioned to Columbus Circle for the opportunity to join the Tier X and Master Instructor teams, roles that helped him grow exponentially both personally and professionally. Matt now serves as the National Manager of Innovation, serving both the Personal Training and Spa departments. 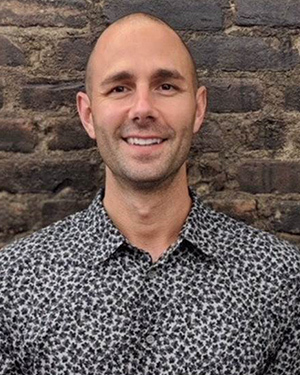 Working with corporate leadership teams, he helps to evaluate new products, programs and partnerships all while still seeing clients at Columbus Circle and teaching continuing education workshops across the portfolio. When he is not in a club or at the office you can find him at home hanging with his kids or on the street with his camera looking for inspiration. Michelle Goldberg holds a Bachelor’s of Science degree in Nutritional Science from Rutgers University and is a NASM certified personal trainer. She's also certified in pre/post natal, Trigger Point, TRX, Kettlebells, and Schwinn indoor cycling. Known to her family as the child who couldn't stop moving, Michelle quickly became enamored with figure skating and trained at a competitive level until an injury sidelined her. While she was recovering from her knee injury, she gained 80 lbs within 6 months and discovered she could no longer run nearly as far as she used to. Michelle started to read books about weight lifting, injury prevention and nutrition. Michelle fell in love with Equinox - the education they offered, the support system within the trainers and instructors, and the growth-focused feedback she consistently received. In 2015, she became a Tier 1 personal trainer and built her business quickly. Within 6 months, she became a Tier 3 personal trainer and transferred to the Huntington Beach, California location in 2016. She is currently a Fitness Manager at Equinox Flatiron and teaches the Sunday 9:30 AM Cycling class. Race graduated from Vassar College with Economics Degree, minor in Mathematics. Originally expecting to go into the world of finance, Race decided to look for meaningful work to him and started his career in Baseball and Ticket Operations with the Washington Nationals. Wanting to work closer with players, Race then went back to his alma mater to be an Assistant Baseball Coach. Falling in love more with the development of players, Race became a Certified Strength and Conditioning Specialist with the NSCA to bolster his skills with in and off-season workouts. Finding his passion with training, Race decided to make the leap into becoming a full-time trainer with Equinox in the TriBeCa location. Race started as a Tier 1 trainer with zero clients in March 2015 and worked his way to a top Tier 3+ trainer within a year. 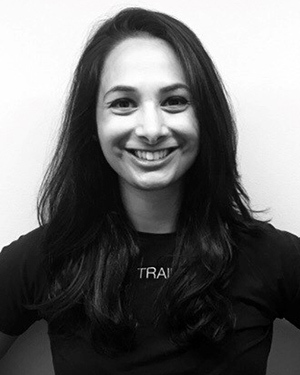 Upon falling in love with helping develop trainers, Race made the leap into Personal Training Management as a Fitness Manager to help open the Williamsburg location for Equinox in Fall 2016. Race then also has a stint at the SoHo location as the Fitness Manager before becoming the Personal Training Manager of Equinox’s Flagship Location in the Flatiron District in August 2018. On the side, Race secretly looks for any excuse to wear a superhero shirt every day of the week and secretly listens to Country music during his workouts. Originally from Poughkeepsie, NY, Race currently loves his life in Williamsburg Brooklyn. When he isn’t working he is either cooking with his wife, Michelle, playing his Nintendo Switch on the train, or riding his Harley Davidson Road King to someplace near water and enjoying a Key Lime La Croix. He currently resides in Bloomfield, NJ. Ali was born and raised in New York City’s Lower East Side to Romanian immigrant parents. Both her parents were visual artists, eventually leading them to work in carpentry and fashion. Despite her parents strong push towards the arts, Ali chose to pursue dance classes, soccer and eventually volleyball. 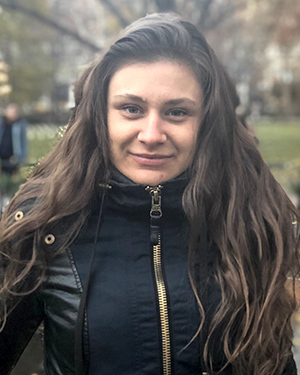 During her time at SUNY Purchase College, Ali double majored in Political Science and Cultural Anthropology, along with participating in several non-conservatory dance programs. Somewhere along the line, Ali discovered strength training through some close childhood friends, but kept it mostly to herself. In the midst of some difficult career changes, Ali completed her 200-hour RYT in Vinyasa Yoga. Soon after she applied (for the first time) to become an Equinox personal trainer, she did not get the job. Although despaired about not being accepted to Equinox’s renowned personal training team, she never gave up on her desire to shape her life towards health and fitness. One year after her initial rejection, Ali applied again and this time was hired for the opening staff of trainers at Equinox Gramercy in 2016. She quickly fell in love with the enormous amount of education that was suddenly at her disposal, and with diligent hard work has developed into a top Tier 3+ trainer. Ali currently holds several renounced certifications in her field, and the most in her club. 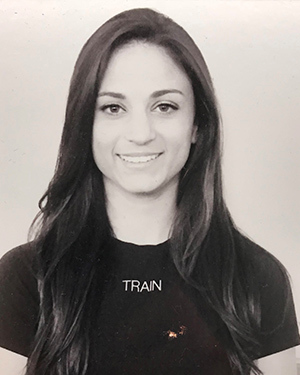 Continuing education is Ali’s single greatest pleasure about the personal training culture at Equinox, and hopes to never stop learning, not only for her clients but also her peers. She currently provides educational workshops for ramping trainers, and has goals of entering the Tier X curriculum as well as becoming a master instructor for EFTI." Catherine (Cat) went to the University of Vermont where she was a 4-year member of the Track and Field team. She graduated with a degree in Psychology and minors in Nutrition and Communicative Sciences and Disorders. During her senior year at UVM she joined a local gym as a personal training and nutrition intern. She knew that she wanted to connect with and motivate others, and decided that pursuing a career in health and wellness would allow her to do just that. She started with Equinox in fall of 2016 as a Tier I trainer and in the past 2 years has thoroughly enjoyed being able to see such progress in the lives of her clients, and in her own skill set as a trainer. Starting this fall, she will be beginning the curriculum to become a Tier X coach, and is so excited for what is to come! In her free time Cat loves to bike (even in the crazy Boston streets), to run on the Esplanade, and to read books in a cozy coffee shop. She can rarely say no to an americano (or an ice cream cone.) On weekends she can be seen relaxing with friends, teaching (and taking) a group fitness class, bopping around a farmers' market, or escaping to VT to ski. She is always on the go, and loves that her schedule allows her the flexibility to have a different day, everyday! EQX Next is Equinox’s annual Group Fitness and Personal Training forum. A celebratory event, recognizing the past year’s top-achievers and setting new goals for the year ahead. The forum consists of awards, educational panels, collaborative discussions, strategic demonstrations and the EQX Games: a friendly competition showcasing the impressive teamwork and physical performance of our clubs’ employees.